As a parent, it’s important to seek the best care for your child when it comes to their health. When their first baby tooth comes in, you know it’s time to look for a quality dentist that will stick with your child through adolescence. The key to having your child keep up with their dental hygiene and practice good dental habits is having a good relationship with their dentist, which means going to check ups twice a year. Don’t delay on taking your child in for their cleanings. Take them to the best pediatric dentist in Lowell, MA, Kangaroo Smiles. One of the many benefits of taking your child to Kangaroo Smiles, Lowell, MA’s best pediatric dentist, is that your child will begin to build a foundation of knowledge regarding healthy habits for their teeth. To jumpstart your knowledge, here are a few facts about healthy teeth that your pediatric dentist can elaborate on further. For children under 3 years of age, use a rice-sized amount of fluoride toothpaste to brush teeth twice a day. For children ages 3-6, you can bump the amount of toothpaste up to a pea-sized amount, but continue to brush twice a day. When your child has two teeth that are next to each other, begin to floss at least once daily. Consider a fluoride supplement for your child if you live in an area where the water does not have fluoride in it naturally. At the best pediatric dentist Lowell, MA has to offer, Kangaroo Smiles, our dedicated and knowledgeable staff members can further educate you and your child about what is necessary for the healthiest teeth possible. All you have to do is ask! So, what are you waiting for? 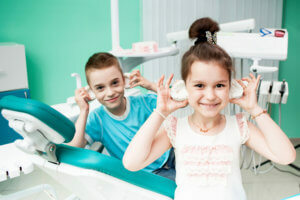 Give the best pediatric dentist in Lowell, MA a chance! Call and schedule an appointment today! (978) 425-1496.